The small bodies in the solar system include comets, asteroids, the objects in the Kuiper Belt and the Oort cloud, small planetary satellites, Triton, Pluto, Charon, and interplanetary dust. As some of these objects are believed to be minimally altered from their state in the young solar nebula from which the planets formed, they may provide insight into planet Earth and the formation and evolution of the solar system. The Oort Cloud is a spherical shell of millions of icy bodies which surrounds the solar system at vast distances and is thought to be the birth place of long-period comets. The Kuiper Belt is a region extending from Neptune’s orbit out to the far and distant reaches of the solar system and possibly holds the best available record of the original interstellar materials that formed the solar nebula. This region beyond Neptune is also the most probable birthplace of the short-period comets. Comets are pristine remnants from the formation of the solar system that are comprised of minerals, rock and mostly ice, much like a dirty snowball. They travel around the sun in elliptical orbits and can be inclined to the plane of the solar system at any angle. 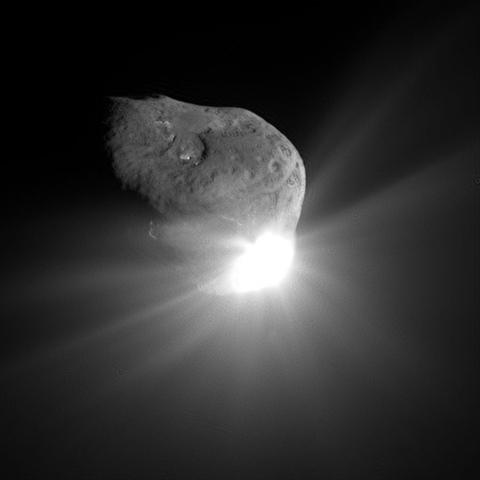 Comets can sprout tails extending many tens of millions of miles, during their closest approach to the sun. Short period comets are thought to come from the Kuiper Belt on the outskirts of Neptune’s orbit and further, and longer period comets are thought to come from the Oort cloud, a vast spherical shell that surrounds the solar system at a huge distance. 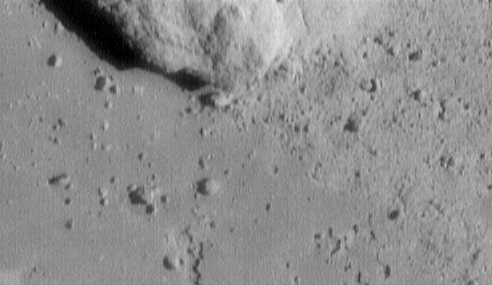 Recent spacecraft encounters with comets seem to raise more questions then they answer and some finds are quite unexpected. NASA targets some of these bodies with spacecraft loaded with instrumentation that help tease out the secrets lurking in these icy bodies. Pluto resides in the Kuiper Belt. With an orbit inclined to the plane of the solar system, Pluto most likely evolved away from the sun’s flattened disk where the larger bodies (or planets) formed. Pluto’s orbit crosses inside that of Neptune’s rendering Pluto also a member of the Trans-Neptunian Object (TNO) class. The Pluto system is very exotic, having three moons including Charon discovered in 1978, and Nix and Hydra discovered in 2005. Asteroids are rocky remnants from the formation of the solar system. They are not spherical and have differing compositions and histories. Most, although not all asteroids, reside in a region between Mars and Jupiter where numerous other small rocky worlds orbit the sun. Some asteroids belong to groups that came from larger parent bodies which were shattered in past collisions with other asteroids. Some are in orbits that cross paths with that of Earth’s or other planets. Asteroids that cross Earth’s orbit are called Potentially Hazardous Asteroids (PHA) and the more we observe the heavens, the more of them we find, some of which are seen for the first time just after passing close to Earth.